Cozy up with the Indians in these comfy Cleveland Indians Navy Blue Womens Sleep Pants. 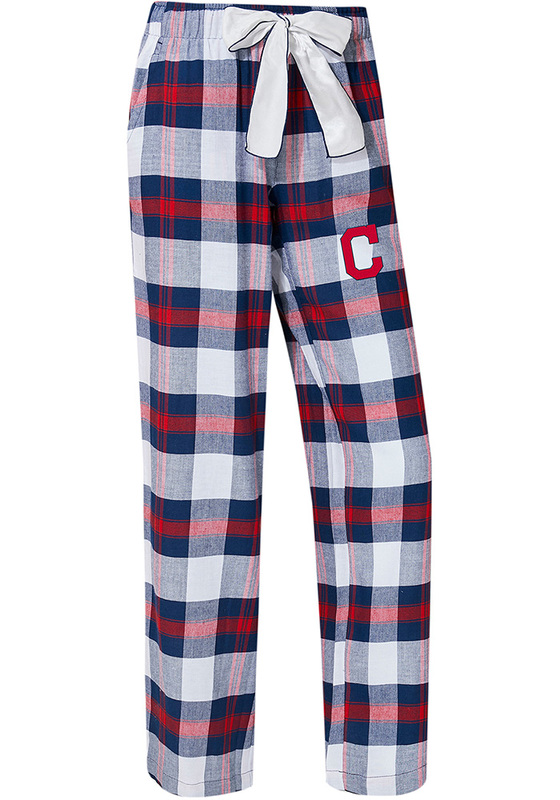 The Cleveland Indians Headway Plaid Lounge Pants a perfect for lounging around or watching the game. These Sleep Pants feature a left leg team embroidery.